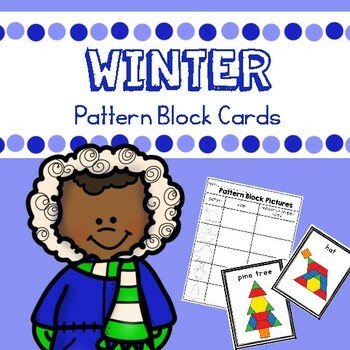 Winter pattern blocks cards are the perfect themed math center for your preschool or kindergarten classroom. 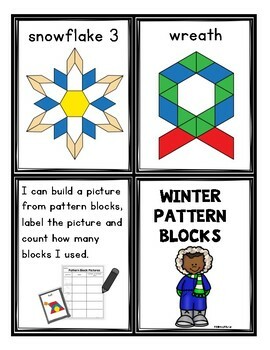 Students create a picture out of pattern blocksand then count how many of shapes are included in the picture. 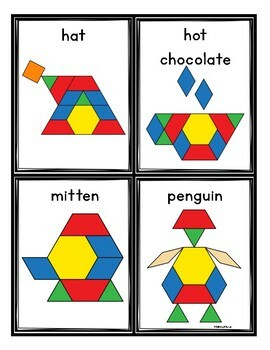 Includes 10 different puzzles in all. 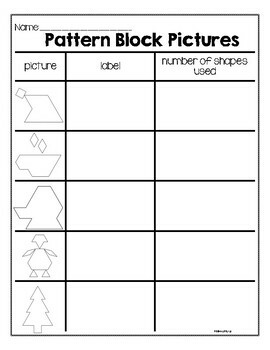 Also includes a recording sheet where students label the picture (to incorporate literacy) and with the pictures labeled.